PROVIDING PEOPLE WITH FAVORABLE LIVING CONDITIONS THROUGH SUSTAINABLE CITY PLANNING, SAFE DRINKING WATER SUPPLY AND IMPROVED SANITATION FACILITIES, WHILE ENSURING THE PROTECTION OF THE LIVING ENVIRONMENT AND WATER RESOURCES. PLANNED CITIES, SAFE DRINKING WATER AND IMPROVED SANITATION FOR ALL. 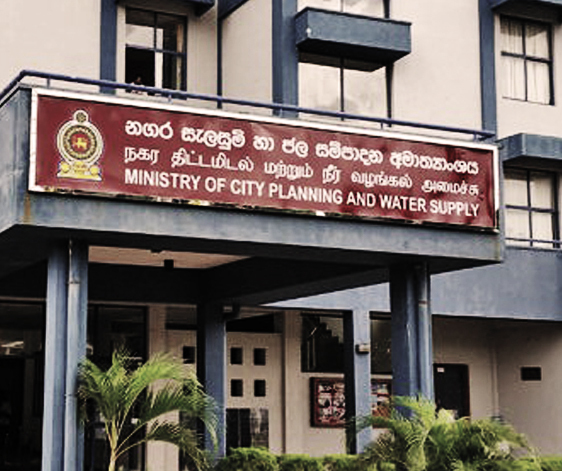 The following activities are entrusted to the Ministry by the provisions of this Gazette notification in relation to the city planning and development. · Assessing risks and its Management. · Giving necessary instructions to contractor’s staff, quality control and taking all measurements of structural works. · Involving supervision and commissioning of facilities and follow O & M procedures and manuals. Project management standards and methods points out the expectations, the realized benefits and – more importantly – the major differences between them. Project management standards and methods to be applied in all phases in the project period. Keep all the relevant information in project wise. · Human resources and staffing assistance are going to be provided by the City Planning & Development Division and the relevant supervising agencies for the implementing projects wherever necessary.